Redemption is born of guilt, and weighs heavy on even the strongest man. Traumatised by the disappearance of his daughter Claire, Taylor Bridges’ marriage breaks down, and he exiles himself to Glorys Crossing in Tasmania. Taylor is the only ranger in this isolated town adjoining a national park… a town dying a slow death as the rising waters of the new dam project slowly flood it. Struggling with the guilt of Claire’s disappearance, Taylor is a chronic sleepwalker. When another young girl the same age goes missing, Taylor begins to question himself… uncertain of what happens when he sleepwalks. It’s a race against time not just to find the missing girl, but in Taylor’s search for redemption and a past better left lying at the bottom of the new lake. B. Michael Radburn - Author of The Taylor Bridges Series and Blackwater Moon. 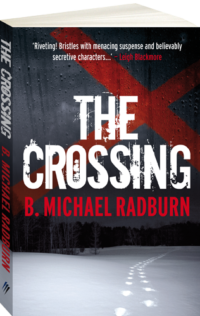 Radburn is a self-professed bloke from the “wrong side of the tracks”, whose fall into writing offered an escape from the fatal attraction of drugs and alcohol. Wonderful high school teachers made him realise that writing, when shared, offered faith in one’s self. Writing from his farm in the hauntingly beautiful Southern Highlands of NSW, his work reflects both natural and supernatural environs. 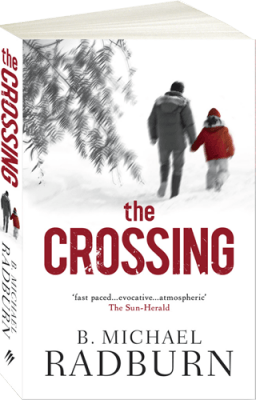 Described as “Ian Rankin meets Stephen King”, Radburn is the author of three full-length novels: The Crossing, Blackwater Moon and The Falls. Radburn loves his family, jamming out the blues and his motorcycle! He also loves giving back and inspiring others from all walk of life – his Harley Davidson chapter (Sydney HOG) works with Father Chris Riley’s Youth off the Streets program. Radburn uses these opportunities to talk to youth living rough in Sydney – offering reading and writing as “therapy” and sharing his own teenage experiences. Sorry, the preview isn"t currently available. “Ian Rankin meets Stephen King meets Bear Grylls. 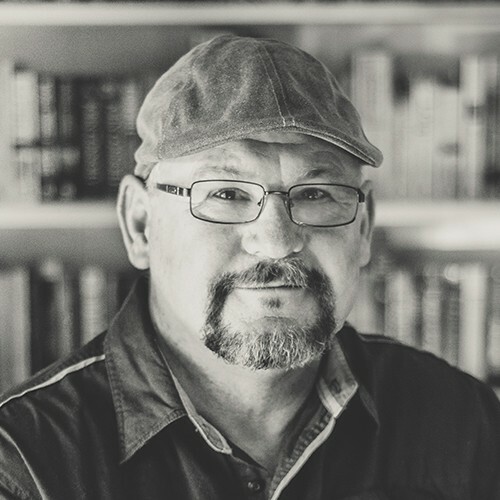 B. Michael Radburn has nailed his debut novel set in the Tasmanian wilderness and Pantera Press has once again found another original story from a great up and coming author. Keep them coming.” Click here for Berkelouws.